I purchased some Turbine rims today. I plan on restoring them. Not sure which method would be best. 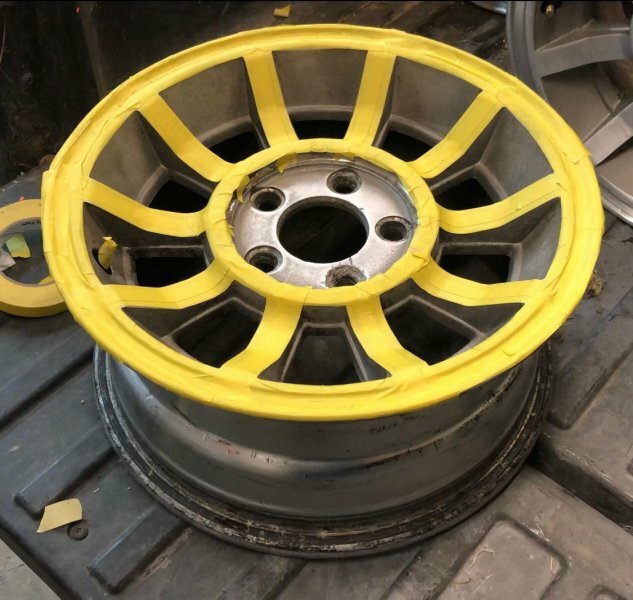 I’ve seen seen videos online where people sand blast the rims and then use a special wheel paint. 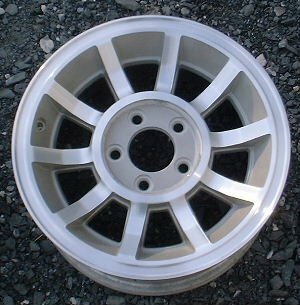 The picture of the single rim is what I believe the rims would look like if I refinished them. I’d either go with this look or get them chrome plated. Also, I am looking for centercaps to go with these rims. To restore these to the factory look you would need to blast clean, polish the spokes and outer rim clean and bright, then clear coat. I've seen the center caps on ebay. even an NOS set, although they wanted real money for it. I had mine blasted and powdercoated a metal flake silver. Ive had a few sets done like this. As an experiment, I had one soda blasted. Even blasting with baking soda left the flats that are supposed to be polished so blasted that it's going to need a LOT of polishing to bring them back. If you want the wheels to look original, I would not blast -- with anything. Use stripper to remove the remains of the old clearcoat, polish the flats and rim, then apply new clearcoat. 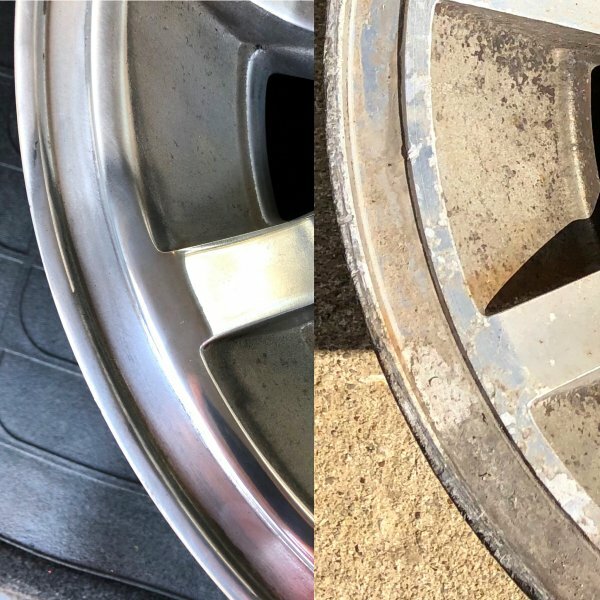 I had really good luck with my 10 hole rims using stripper as well. Let the chemicals do their thing, neutralize them, then a quick polish, and finish up with s good clear coat. I’ve been sanding with 180 & 220 grit sandpaper. It’s taking FOREVER. After polish, here is what a section looked like. I’m happy how it looks, but it’s taking so long to sand. Following, along here. I’ve got 5 or these rims that the clear coat is shot that I want to bring back on day. I’ve was thinking the other night about getting them blasted/powder coated. Following. I have a set of 5 on the truck and I think 2 or 3 extras 2 of which are bent. Looks good. Obviously, I need to get busy. Make a turntable using an old bearing unit and axle shaft. 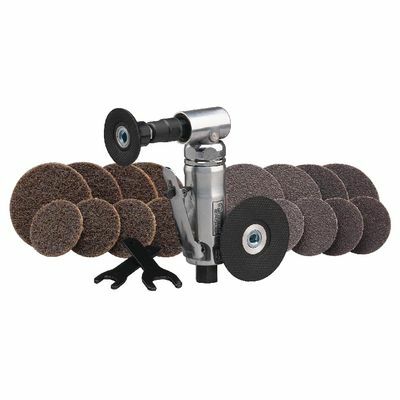 Cut spokes and rim with coarse Roloc to remove damage. Paint relief areas between spokes your color of choice. Begin polishing spokes and rim with fine to polishing Roloc, this will also remove over spray from paint, take care because you are also creating a sharp paint line. I'm an idiot. I didnt even think about rolocs. I love those things. Good idea on the turntable. Wow! I'm wanting to get on mine. 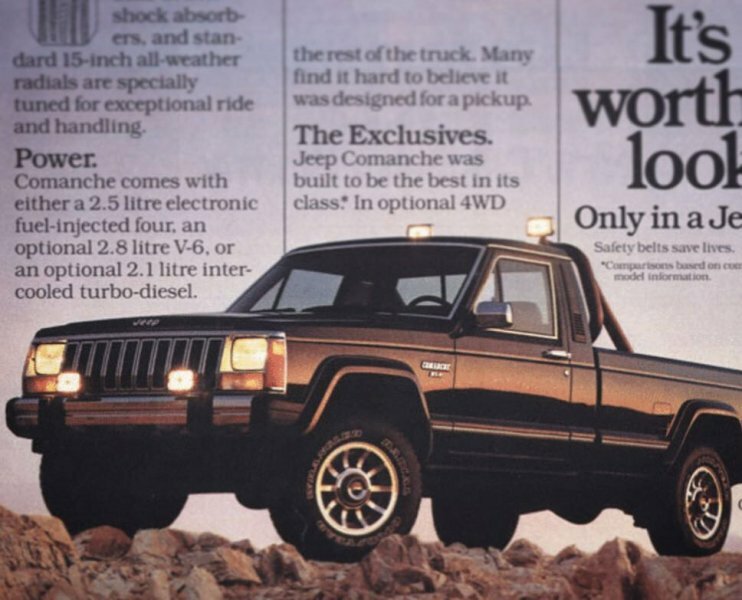 Those looked sweet! I'd be happier with that look over blasting and powder coating. I've had these turbines for over 10 years and always wanted them black. It was only that I know a guy that did me a solid and sandblasted and powder coated them black for me. I'll be wrapping them with 31's and they look way better then anything I could have ever done. I went the easy route. What is a fair price for powder coating? Local place wants $75 per wheel for one color. Owner says to mask the non-polished areas and do a different color is to labor intensive and triples the price with the intent that no one will ask him to do it. 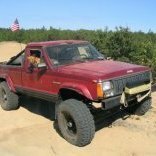 I have two sets of these and want to run them on my MJ and XJ. But they are pretty rough looking. 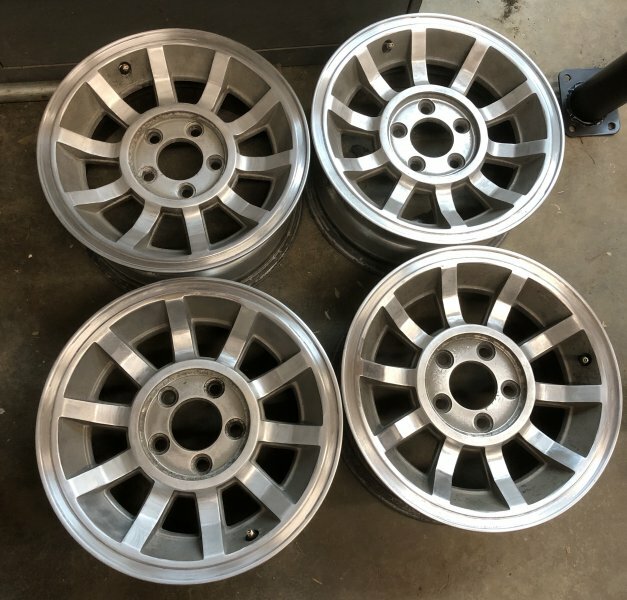 Anymore pics of powdercoated wheels? Prefer a silver for these type of wheels, black is not my cup of tea. There is always the DIY option, HERE. Costly to start, but gives you so many options down the road. Is $75 blasted, washed and powdered? Good to know. I'm getting a Borla header for a 4.0 and 4 CJ steel wheels done now. Depending on how they turn out, I may do the Turbines. 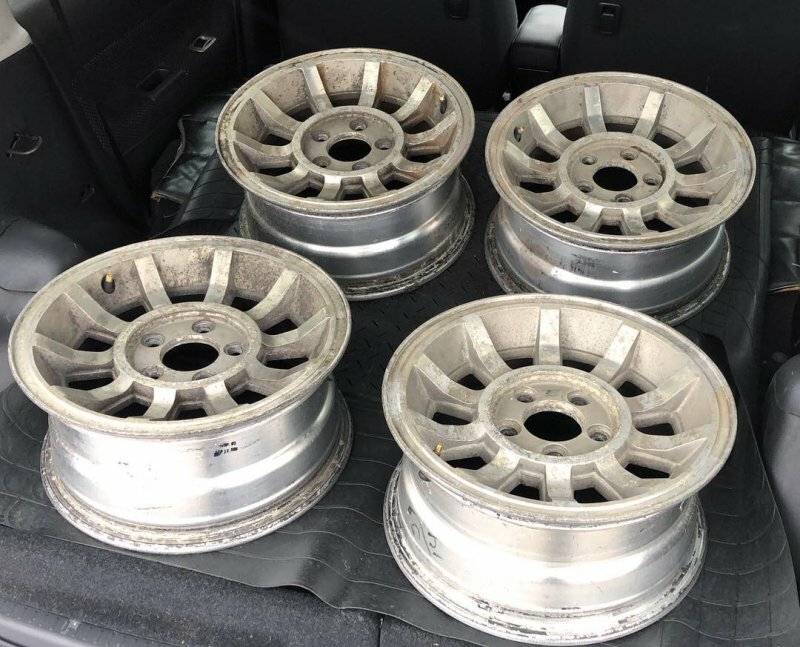 $300 for 4 wheels start to finish is dirt cheap. Here's how they look now. They still need polished. I'm going to paint the inside of the spokes black. Taped up for painting. I plan on painting this Saturday.